Project Project reached another milestone recently when we hit 100,000 page views! I know some blogs hit two or three times that in a day, but for a rink-dinky blog like mine that was a big deal, and felt like a bit of an accomplishment! An accomplishment that you made possible, so may I suggest you treat yo'self to something tasty? 1. First Birthday Party. A post about Espen's Very Hungry Caterpillar Party. With over 20,000 page views, this is far and away the most popular post on the blog, with the overwhelming majority of interest coming from Pinterest (that's kind of fun to say!). I think people like it because it is a fairly simple approach to a themed party, where none of the projects are so ambitious that you couldn't see yourself doing them. And it's a classic children's book that lots of people love, which helps too. It's not my favorite post, but it is one that I am quite proud of. 2. 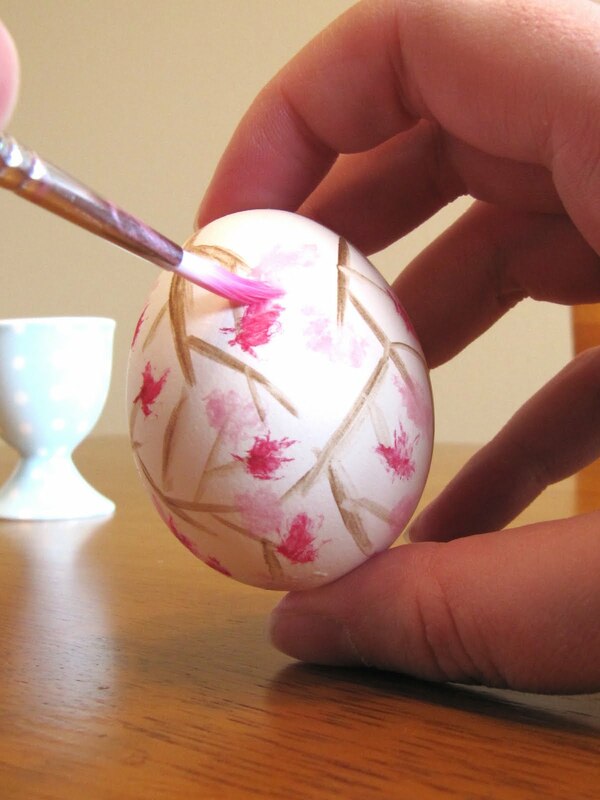 Painted Easter Egg Tutorial. I wrote a post about how to paint decorative easter eggs the way I learned to do it growing up in Norway. It's such a common thing to do in Scandinavia that it seemed like it might be a bit silly to write about it, but this post has been really well received! In fact, as well as living its own life on Pinterest, this post has also been featured by Parenting.com and their affiliate MSN Living, as well as on Family Storytelling. It was my first attempt at a tutorial, and I am quite pleased with how it turned out. 3. 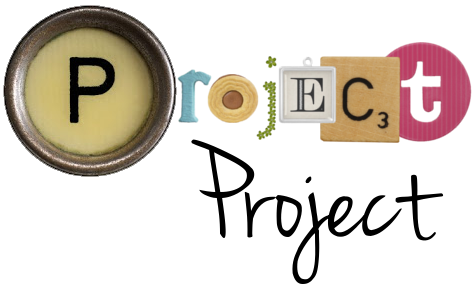 Project Baby and Guest Blogger Week: Carina. I didn't even write the third most popular post on my blog myself! Somehow I conned the lovely Carina from The Jet Set into doing a guest post for me, and her legions of readers are still finding it! I asked her to write a guest post for me when I was pregnant and expecting Espen, and she came up with this bittersweet little essay about mothering boys. Carina also writes for Today's Mama. 4. Project Baby: The Loveliest Baby Shower. This post deserves to be in the Top Ten, because it is all about the beautiful baby shower our sweet friend Stepper threw us before Espen was born. Such a lovely shower with so many wonderful ideas and attention to details. And check out Stepper's own post about the shower here, because she wasn't inexplicably posting tiny photos like I was back then. 5. Espen's train party: the set up. This is a post about Espen's second birthday party, which was train-themed, seeing as that was his big passion at the moment. It's another Pinterest favorite, and was featured in an article at SheKnows.com Again, I think this is a popular post because it features some simple, straightforward ideas that don't cost the earth and are fairly easily executed. 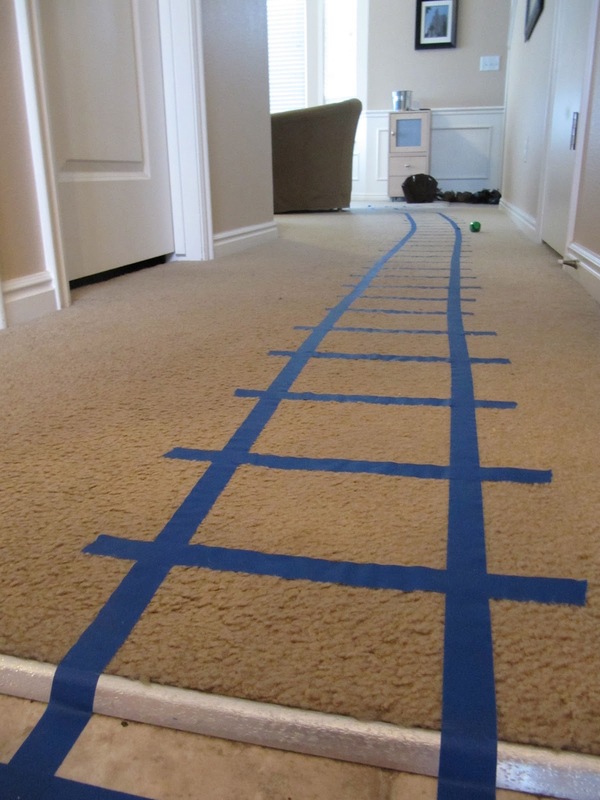 And so many little kids love trains, which makes it a popular and much searched for party theme. I was quite pleased with how it all turned out, and the pictures still make me smile. 6. Train birthday invitation. I split the different elements of Espen's train party up into three separate posts, so it actually shows up three times on the Top Ten list. 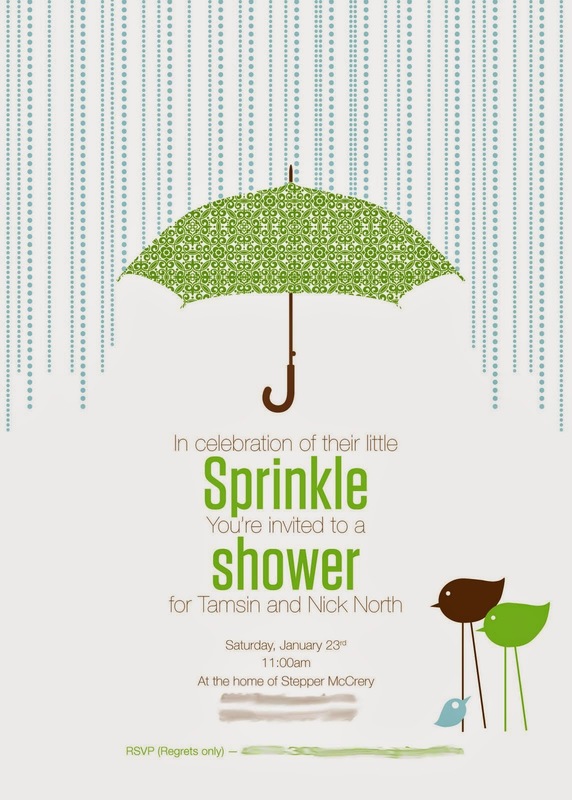 This post is about the cute invitation that we had made for the party, and talks a bit about how I like to use the invitation as a jumping off point for the rest of the party. 7. Step 5: Get Some Exercise! This seems like kind of a random post to have in my Top Ten list, but I think it got a lot of hits on Google because of the title. Aren't we all trying to get some exercise? Back in early 2012 I was trying to get a bit more healthy, so I introduced a Small Steps program on my blog, where I and some of you readers took on a new health challenge every week. We did really great, kept it up for a couple of months, and saw some good results... until I suddenly started feeling really sick and really tired all the time - and discovered I was pregnant! Which was really the ultimate good result. I'm feeling like I might want to bring this blog series back - who's with me? 8. Train birthday cake. 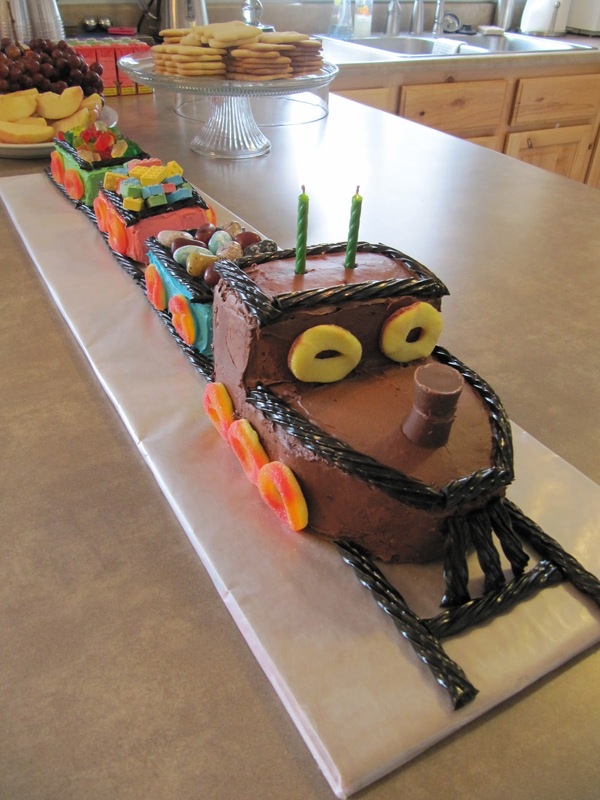 The third and final Top Ten post about Espen's train party is all about the cake we made.I seem to remember we were up until the wee hours of the morning putting this bad boy together! Having little to no experience in fancy cake making, we were quite happy with our results, and even felt bold enough to offer some advice from an inexperienced baker. 9. Summer pasta salad. This post features a recipe I dreamed up while pregnant for a quick and easy dinner salad. We make it when we don't really feel like cooking (it only calls for boiling pasta, or want something that feels a little lighter, but is still filling enough to qualify as dinner. It's very easy to vary and personalize depending on your preferences and what you have on hand, which is nice. This one also shows up on Pinterest a bit, but might need a better photo to really bring in the crowds. 10. About Amsterdam from Brussels (finished in Spanish Fork). This post is about a day out in Amsterdam, spent with Nick's sister Tess and her boyfriend, Jasper. We had a great day in a great place, and got a few good photos along the way. But I have to say that I'm honestly a little mystified as to why this post made it into the last Top Ten spot, unless it's because I used three place names in the title, which might have made it more searchable. Or maybe people are finding it via image searches? Anyway, I like it personally as a little trip down memory lane, and a testament to the fact that we are managing to be a family that travels. 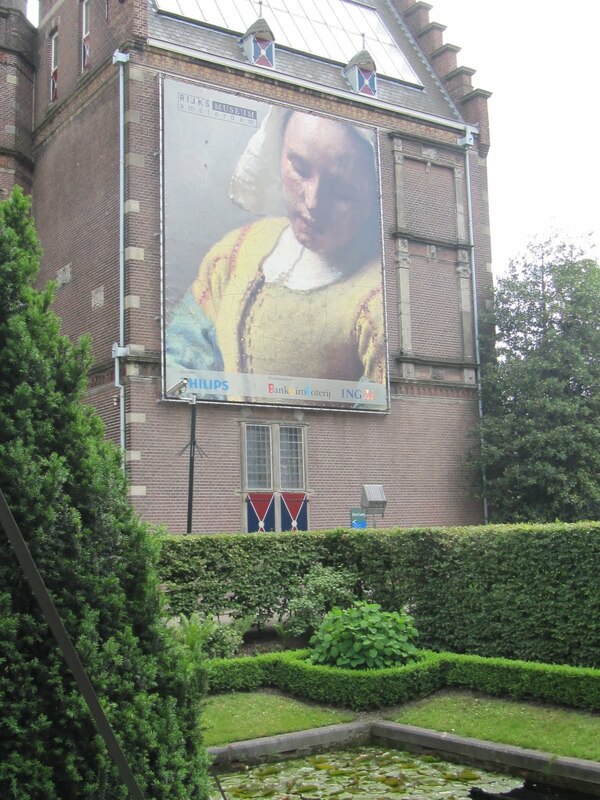 Maybe you might like it as a little travel guide to Amsterdam? I feel certain that you would enjoy the flower markets. Congratulations on such an awesome milestone. You are doing a great job. Thank you for all your inspiration. Thank you! Your comment actually arrived at the perfect time, and meant a lot. I love your blog Tamsin!! You are such an honest, open and eloquent writer. Keep it up!